Studio Petretti offers custom Accessory Dwelling Units (ADUs) to increase the value of your property and offer additional flexibility. Small homes can be a place for guests to stay, a rental unit, or an accessible option for a loved one to age-in-place. We are adept at navigating the City of Portland's permitting process and we have great relationships with thoughtful builders who care about the final product. We measure our work by the experience of the spaces we create, balancing functional needs with carefully crafted forms to heighten connections between people and their environment. 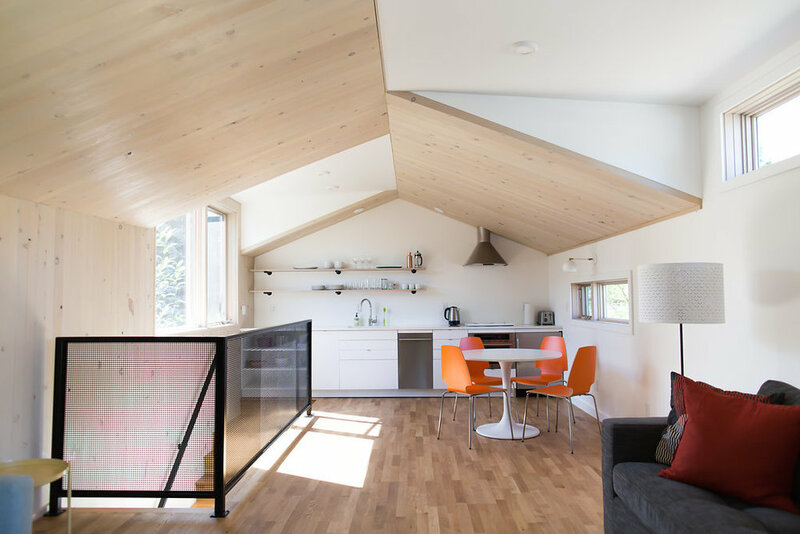 We have extensive experience working on ADUs in Portland and look forward to helping you navigate the process of building your own. Thinking about adding an ADU to your property?